This smoke-free hotel features 2 restaurants, a fitness center, and a bar/lounge. An airport shuttle is free. Other amenities include a coffee shop/café, a sauna, and self parking. All 370 soundproofed rooms provide free WiFi, free wired Internet, and 24-hour room service. For a bit of entertainment, TVs come with satellite channels, and guests can also appreciate conveniences like refrigerators and coffee makers. 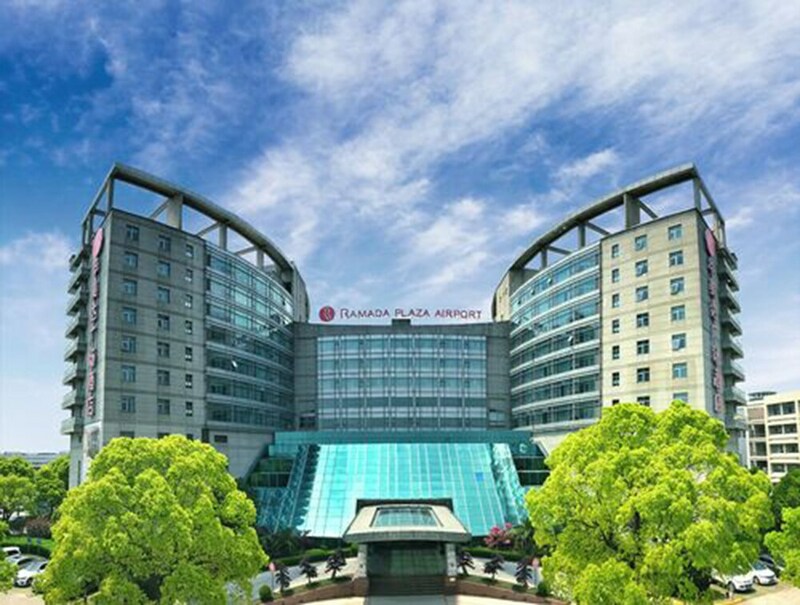 Ramada Plaza Shanghai Pudong Airport features a sauna and a fitness center. Dining is available at one of the hotel's 2 restaurants and guests can grab coffee at the coffee shop/café. A bar/lounge is on site where guests can unwind with a drink. Business-related amenities at this 4-star property consist of a business center and limo/town car service. This business-friendly hotel also offers an arcade/game room, gift shops/newsstands, and a garden. A roundtrip airport shuttle is complimentary to guests (available 24 hours). Onsite parking is available (surcharge). Ramada Plaza Shanghai Pudong Airport is a smoke-free property. Brasserie Cafe - This restaurant serves breakfast, brunch, lunch, and dinner. Open daily. GalleryChinese Restaurant - This restaurant serves lunch and dinner. Open daily. Rollaway/extra beds are available for CNY 275 per night. This property offers transfers from the airport. Guests must contact the property with arrival details before travel, using the contact information on the booking confirmation. The property has connecting/adjoining rooms, which are subject to availability and can be requested by contacting the property using the number on the booking confirmation. No pets and no service animals are allowed at this property.